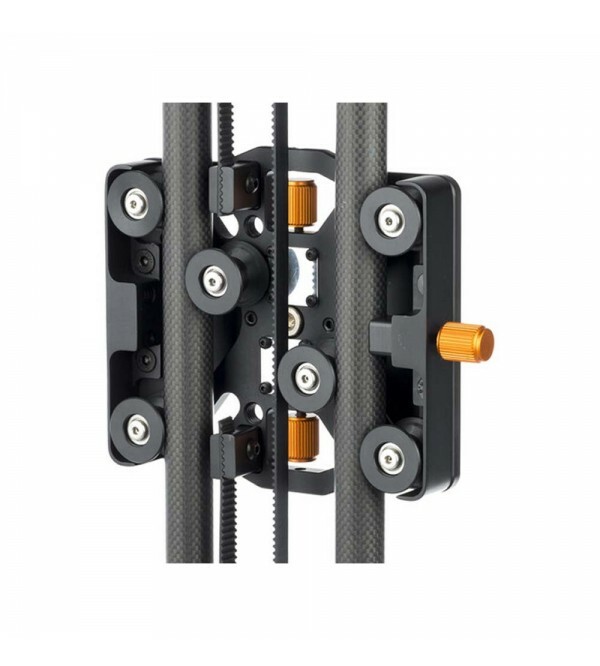 Create cinematic camera movements with the ES-120 48" Carbon Fiber Slider from E-Image. 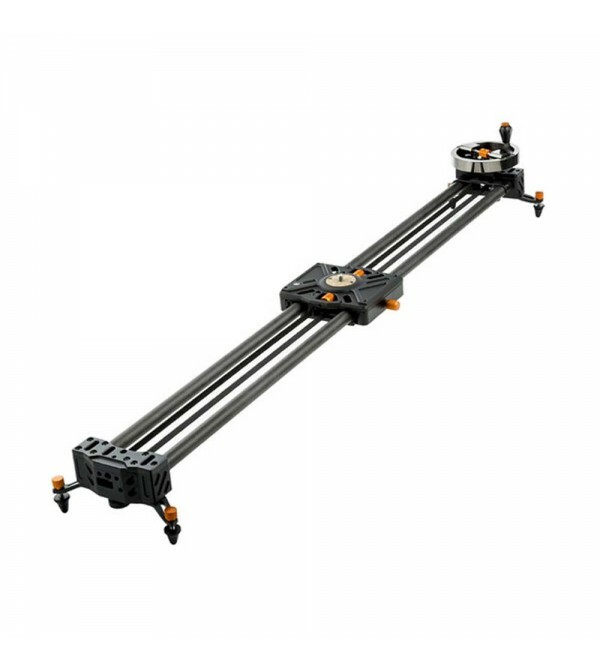 The slider may be used in multiple modes of operation and can support up to 15 pounds. 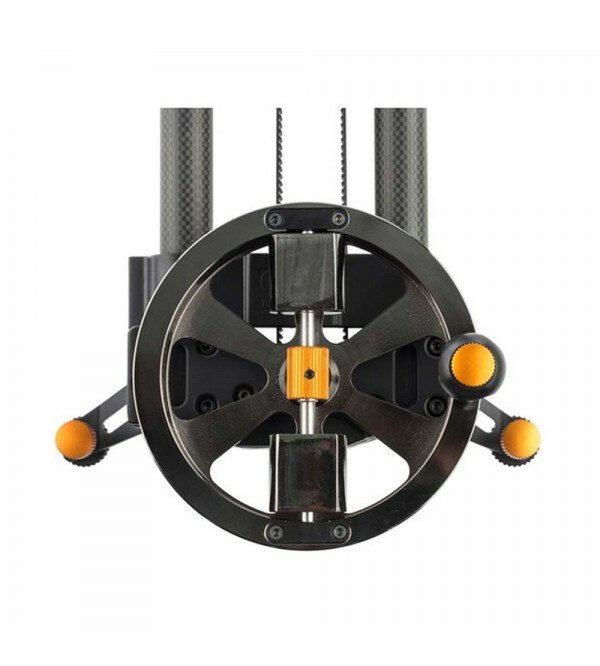 It features a flywheel belt-drive system, offering adjustable resistance via a squeeze mechanism at the top of the flywheel. There's an included crank that can be used the traditional way upon removal of the flywheel. For tripod and stand usage, there are standard 1/4"-20 and 3/8"-16 threads on the bottom as well as a 5/8" stand mount receiver on each end. 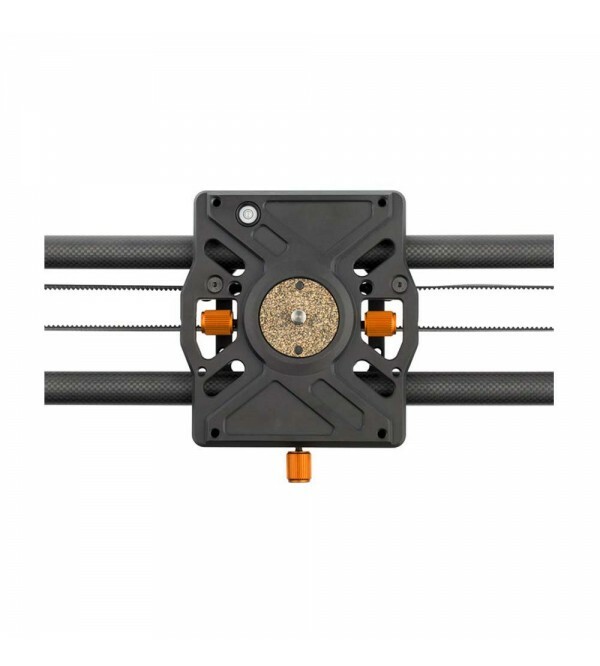 The included outrigger feet are individually adjustable for leveling the slider evenly on different surfaces. 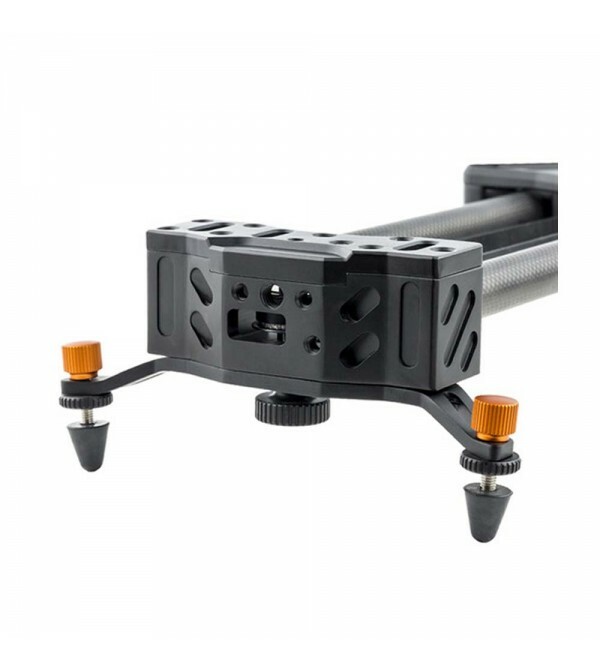 The camera mounting platform is a large 5 x 5" and has a bubble level, and the tripod mount plate (underneath the rails) is 5 x 6", for sturdier tripod mounting. 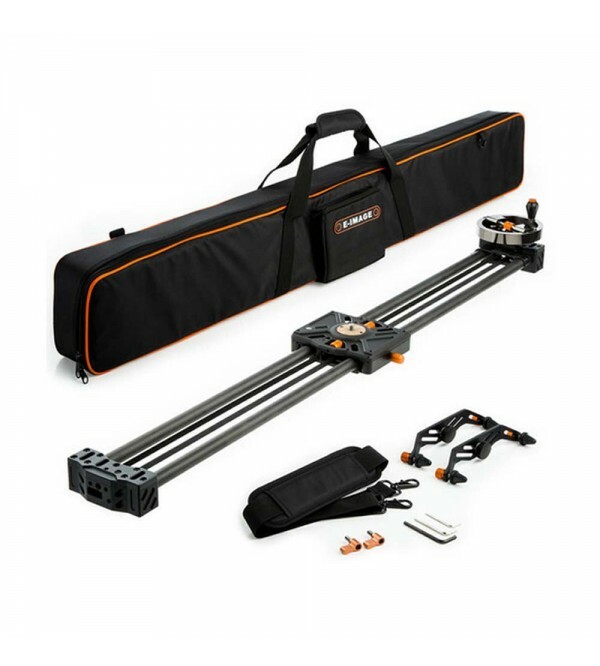 The slider also supports an optional motion-control accessory that will let you take advantage of the smooth belt drive for time-lapse shooting.